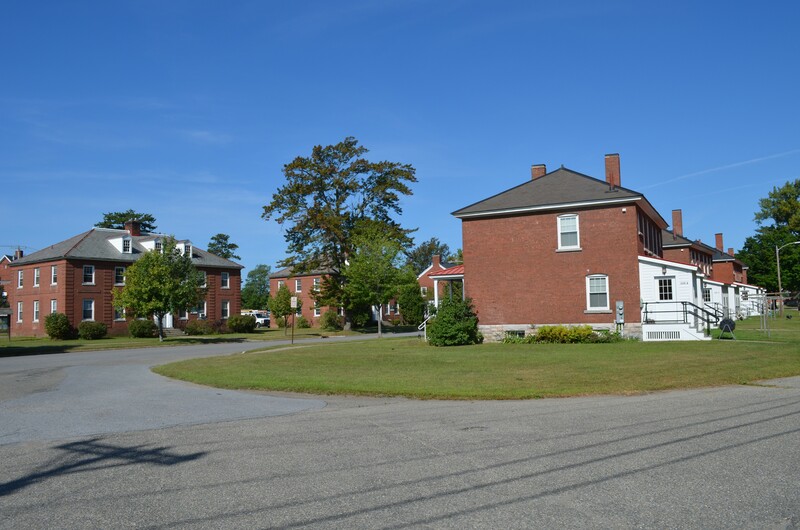 University of Vermont grad students say they love living in the brick townhouses and former military officer quarters at Fort Ethan Allen. Rent is affordable and residents, who had to spend time on waiting lists to get a place there, have formed the tight-knit kind of community where families take turns babysitting for one another. So when UVM officials told residents that a sale is underway of 31 apartments and they also plan to sell the other 89, students were taken aback. They've since delivered letters signed by nearly every resident to president Tom Sullivan and the board of trustees. Earlier this week, they started an online petition asking UVM to provide additional family housing to replace the units being sold. UVM is in negotiations to sell its Ethan Allen Apartments in Essex — stately officers quarters constructed in 1895 and 1933 — to the nonprofit affordable housing developer, Champlain Housing Trust. It's also contemplating selling the County Apartments, located a stone's throw away in Colchester. Vice provost for student affairs Annie Stevens told Seven Days that students won't have to move right away. They have leases that will last through the academic year, and CHT's chief financial officer, Michael Monte, confirmed that students will likely be able to stay even longer. "Our goal will be to work with the students," he said. "Nothing will happen immediately, and everything will have adequate notice." UVM wants to house graduate students closer to campus, Stevens said, noting that in a survey, people responded that the five-mile commute to campus was inconvenient and, at times, unsafe. The university also has a financial incentive to sell — many of the aging buildings need repairs, according to Stevens. Champlain Housing Trust, which receives hundreds of housing applications a month for only a handful of available units, plans to turn the complex into a mix of homes and apartments. Monte said it's likely some students would qualify for them. Stevens suggested another possibility: As undergrads move into new on-campus dorms expected to open in 2017, additional spots will open up for grad students at the Redstone Lofts and Apartments and at the Quarry Hill apartments in South Burlington. But current Fort Ethan Allen residents are looking for a firmer commitment. They point out that if their present housing isn't replaced, they may add to the housing pressure creating Burlington's infamous high rental prices. And they emphasize the strong sense of community at "the Fort," which, according to UVM's website, is occupied by student-families, grad students and nontraditional undergrads. 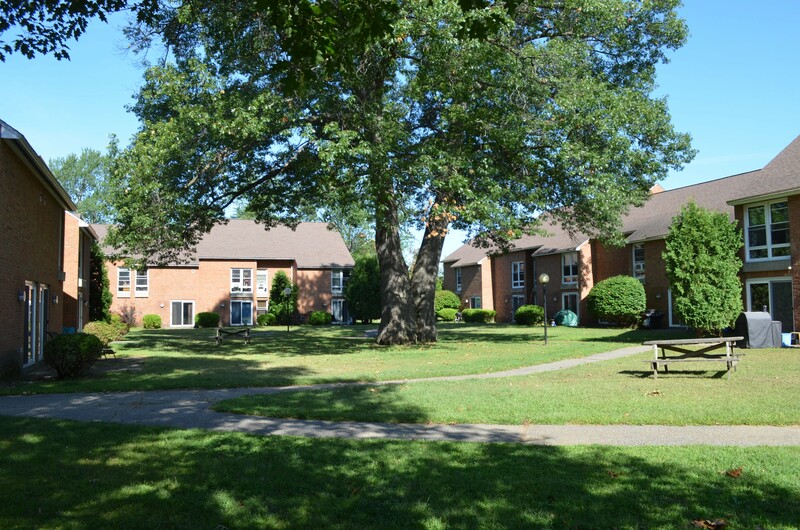 Callie Linehan, a first-year med student who lives with her husband and son, said her family had been struggling to find an affordable place to live when they got off the waiting list for Fort Ethan Allen housing. “Needless to say, we were ecstatic to find out we could be here in family housing, and devastated when we found out two weeks later that it would be sold out from under us,” Linehan wrote in an email. Another med student, Kelsey Sullivan, moved into the apartments with her husband and dog in May 2014. She takes the bus to school and described the arrangement as "super convenient." Sullivan said residents have potlucks and brunches together and that for families, in particular, the prospect of having to find a new home is daunting. Some international students live at Fort Ethan Allen, and Shashank Jain, a chemistry grad student from India, explained that many of them face particular challenges when looking for housing. Often they lack a credit history and landlord references, and the terms of their visas prevent them from working off-campus to supplement their academic stipends. "All my friends are freaking out," said Jain. "They should come up with an alternative plan for students."